South Africa’s first cohort of OpenGov Fellows have helped liberate over 550 government datasets containing information intended to help citizens better understand and engage with their communities. The data includes everything from the location of hospitals and schools, to government guidelines for medicine prices, the national government budget, environmental and economic databases, along with school examination results and other education performance statistics. “Much of this information was already online, but was often in places or formats that were inaccessible for ordinary citizens. Having easier access to data helps citizens make better decisions, like understanding how noise pollution from a proposed new runway at a Cape Town airport will impact on them,” explains Code for South Africa (CfSA) director, Adi Eyal. The OpenGov Fellowships are a continental initiative of the Code for Africa (CfAfrica) federation, with fellows currently helping liberate data or build better digital democracies in Ghana, Nigeria, Rwanda, South Africa and Uganda. The four South African fellows are co-managed by CfSA and Open Data Durban (ODD), and are intended to support the South African government’s Open Government Partnership pledge to make important ‘civic’ information available online. The fellows therefore worked with South Africa’s Department of Public Service and Administration, alongside a range of civil society partners. The crowdsourcing campaign culminated in a series of DataQuest meetups in Cape Town, Durban and Pretoria on October 23 where technologists worked with enthusiasts to use the data to analyse topical issues — such as the ongoing #FeesMustFall student protests against proposed university fee hikes — or to build prototype civic service apps for the web and smartphones. All the data liberated by the fellows has been uploaded to the South African government’s new open data catalogue, which will be officially unveiled when the country assumes co-chairmanship of the (OGP) in Mexico City this week. The portal also showcases some of CfSA’s existing data-driven ‘decision-making’ tools such as WAZImap and OpenByLaws and Medicine Prices. WAZImap, which was built by CfSA in partnership with Media Monitoring Africa with seed funding from CfAfrica, converts complex census and other demographic data into an easy-to-navigate tool that helps citizens explore their own neighbourhoods. The tool has been so successful, it is now being replicated in Kenya, Nigeria, and Uganda. OpenByLaws, also built by CfSA with seed funding from CfAfrica and the Shuttleworth Foundation, gives citizens easy access to the government laws and regulations that govern their cities. Medicine Prices meanwhile helps citizens check that pharmacists are not overcharging them for medicines, or whether there are cheaper generic drugs for their prescriptions. “These early experiments prove how fairly basic government data can help citizens look past all the rhetoric, to examine the hard facts, so that we have better evidence-based public discussion. It also demonstrates the types of simple but powerful digital advisory apps or services that can be built to bring government closer to the people,” says CfAfrica director Justin Arenstein. The South African OpenGov Fellows’ initial focus on data liberation will evolve over the next month to include weekly ‘civic labs’ where ordinary citizens, civil society and even government agencies can get free one-on-one support to either find data they need to tackle a problem, or alternatively to analyse data to help develop solutions. In addition, the fellows will create visualisations to existing datasets in the national open data portal, to make them even more accessible. The OpenGov fellows elsewhere in Africa are meanwhile working at helping the Ghanaian government build better citizen engagement tools — using SMS and other mobile platforms — to respond to rural villagers’ concerns about public services. They are also helping improve transparency and accountability in the Ugandan parliament, are helping civil society improve the way they track government procurement in Nigeria, and are helping citizens track government promises in Rwanda. The Ghana, Nigeria, Rwanda and Uganda fellows are co-funded by CfAfrica and the Open Knowledge Foundation. 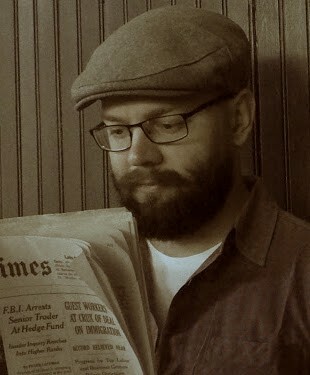 Richard Gevers is a ‘recovering’ economist, who is the founder of Open Data Durban (ODD) and serves as the senior OpenGov Fellow. He is also co-founder of GMA Innovations, a data science startup with a focus on building data products and tools to improve planning around socio-economic development. Richard spent eight years as an economist, working with both government and the private sector, on major initiatives ranging from urban planning schemes, to renewable energy and waste management, better transport infrastructure, agri-processing, and economic development. The work convinced Richard that citizens are able to make wise decisions about complex issues, if they have actionable data. In his spare time, Richard brews beer, appreciates good coffee and listens to vinyl. Nkululeko Mthembu is a startup evangelist. Mthembu juggles his studies in business administration with his ‘Head Honcho’ role at the Durban Innovation Hub (DIH), which supports local tech entrepreneurs with skills mentoring and business networking to help accelerate entrepreneurship in the city. Nkululeko is also a founding member of Startup Nations KZN, which seeks to replicate DIH’s strategies in impoverished townships across KwaZulu Natal province. 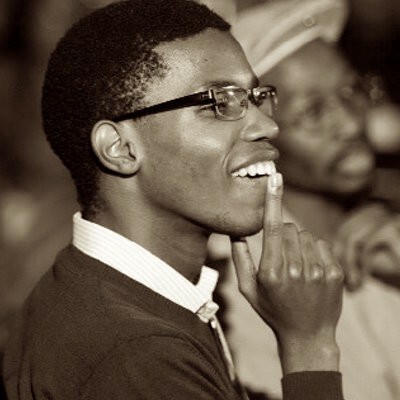 Nkululeko’s social entrepreneurism has seen him named as a World Economic Forum Global Shaper. 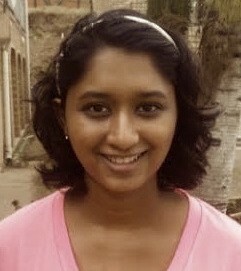 Tricia Govindasamy is a geologist by day, and a tech activist by night. Her day job focuses on understanding how rock formations shape South Africa’s water supplies, using her expertise in mining sciences and geotechnical engineering, as well as environmental management and geographic information systems (GIS). By night, Tricia wrangles GIS and socio-economic data to create tools that improve government transparency and that help citizens understand exactly how government programmes impact on their physical communities..
Heiko Heilgendorff is a physicist and astronomer. 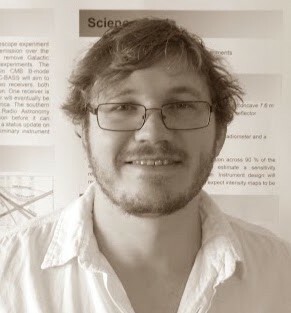 He contributes to the Square Kilometer Array (SKA) as part of his current PhD studies, working with an international consortium on the C-Band All Sky Survey. The survey measures galactic foreground radiation from the Milky Way Galaxy, as part of the search for relics of the Big Bang. Heiko’s open data activism stems from having a ‘curious mind’ and the joy at finding unexpected trends in data that could help South Africans better understand their country. Heiko also volunteers as a member of the ODD steering committee. Code for South Africa (CfSA) is the nation’s leading civic technology lab, based in Cape Town. It has been instrumental in pioneering public uses of open data and open source software tools that empower citizens across South Africa. CfSA seeks to build strong demand for data from civil society, the media and communities of enthusiasts to help give citizens ‘actionable information’ so they can make better informed decisions about issues that affect their lives. CfSA was established with a CfAfrica seed grant. Open Data Durban (ODD) is South Africa’s first civic technology lab that focuses on city-level data and digital innovation. Run by volunteers, ODD’s projects include South Africa’s inaugural OpenGov Fellowships, as well as a ‘citizen data’ initiative to use cheap sensors to monitor air and water quality, and a drive to help the eThekwini Municipality identify which city data should be prioritised for release to spark data-driven social entrepreneurship. ODD’s pilot projects are funded through a series of CfAfrica seed grants. Code for Africa (CfAfrica) is the continent’s largest independent open data and civic technology initiative. It operates as a federation of autonomous country-based digital innovation organisations that support ‘citizen labs’ in five countries and major projects in a further 15 countries. CfAfrica runs Africa’s OpenGov Fellowships and also embeds Innovation Fellows into newsrooms and social justice organisations to help liberate data of public interest, or to build tools that help empower citizens. In addition to fellowships and citizen labs, CfAfrica runs the $1 million per year #innovateAFRICA fund and the $500,000 per year #impactAFRICA fund, which award seed grants to civic pioneers for experiments with everything from camera drones and environmental sensors, to encryption for whistleblowers and data-driven semantic analysis tools for investigative watchdogs. CfAfrica also curates continental resources such as the africanSPENDING portal of budget transparency resources, the openAFRICA data portal, the sourceAFRICA document repository, and the connectedAFRICA transparency toolkit for tracking the often hidden social networks and economic interests in politics.